Disclosure: I was sent this book to review free of charge from Worthy Publishing. All opinions in this post are my own. I did not receive any other compensation for this review. I am including links to each item for your convenience but do not receive anything if you purchase them. 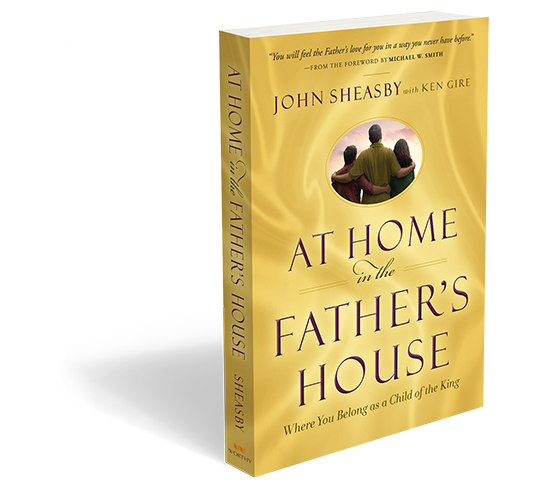 Today I get to share with you a look at the new book, At Home in the Father's House by John Sheasby with Ken Gire. 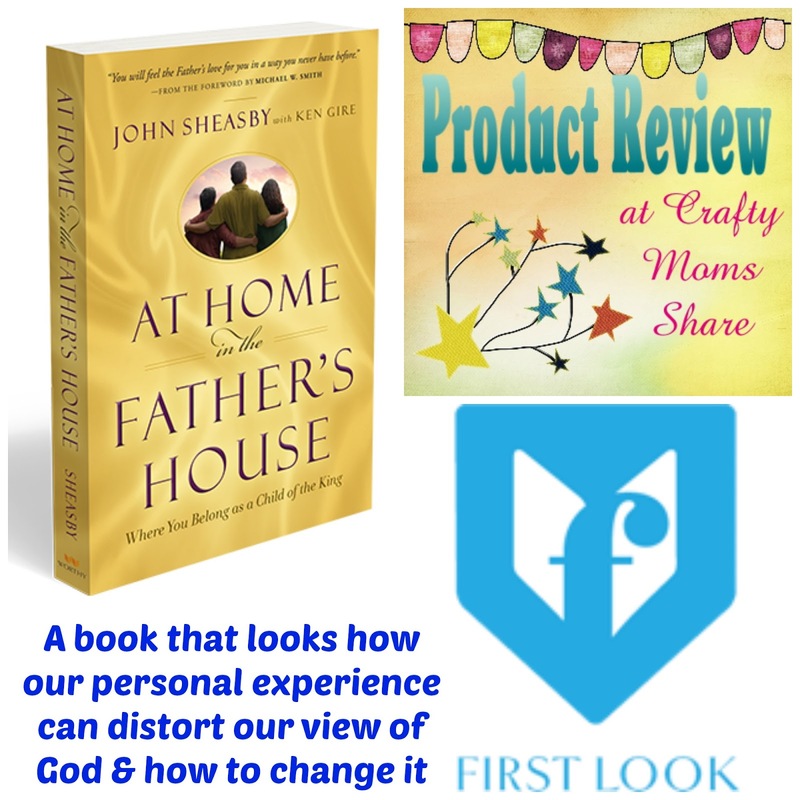 This book shares John Sheasby experience as a pastor discovering his own distortions of God and the Bible. 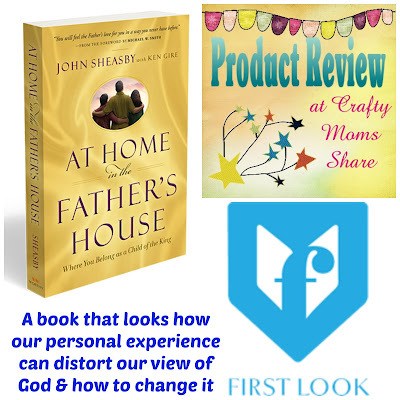 He also shares the discoveries he made to correct those distortions and finds ways to relate it to everyone's life. Disclosure: Penguin Random House gave me a copy of these books free of charge for this review in return for an honest review. All opinions in my review are my own and I did not receive any other compensation. As in all my reviews I am providing links for your ease, but receive no compensation. Ducks have been very important in our lives for the last seven years. Hazel's birth announcements were duck magnets. Then there is Ducky. Who knew her lovey would be a duck? After all this she has loved ducks all of her life. 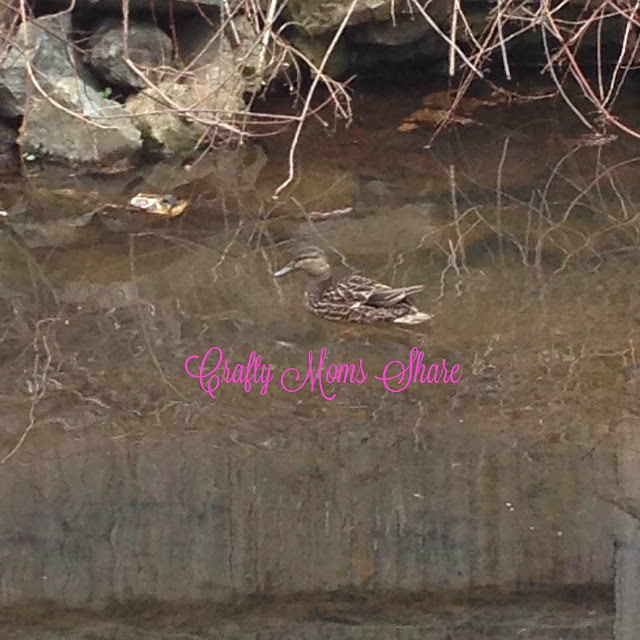 She gets very excited every spring when our spring visitors return to the brook that runs along our back yard. Hazel has been going out every morning to feed her (and now her mate) as well as check on them after school. It is really exciting for her that the classic book, Make Way for Ducklings by Robert McCloskey turns 75 this year! A special version has been put out for this anniversary. It includes the classic book, a CD and a poster. 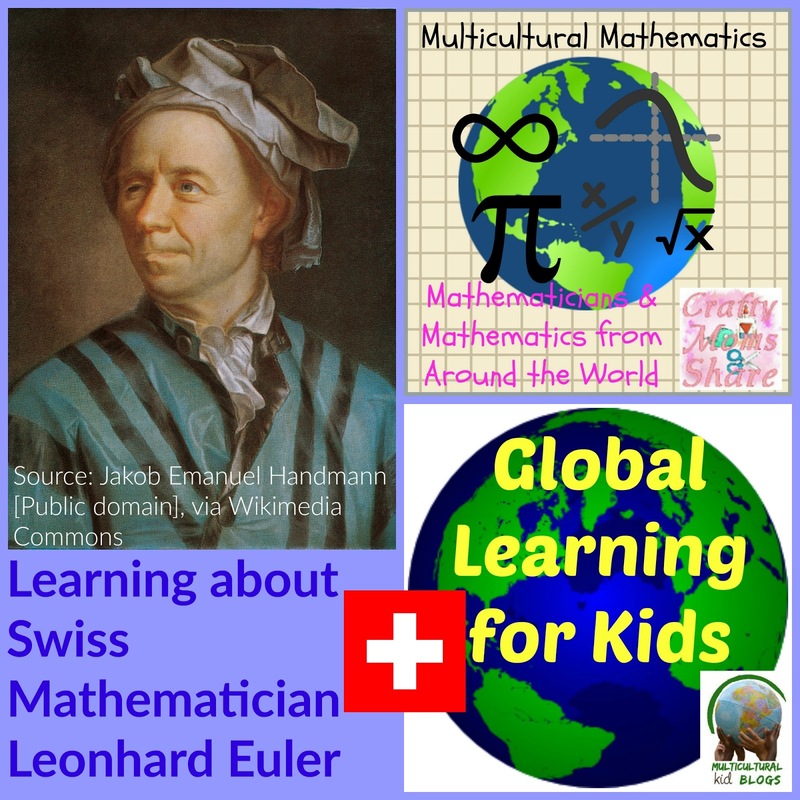 This month Global Learning for Kids is exploring Switzerland. Since we explored Switzerland last year before Global Learning for Kids officially started, I thought we would focus on a Swiss mathematician. Hazel did remember some of the books and wants cheese fondue again. We did read a few of the same books and watched two DVDs (one of which we watched last year as well). Did you know there is a National Pet Month? 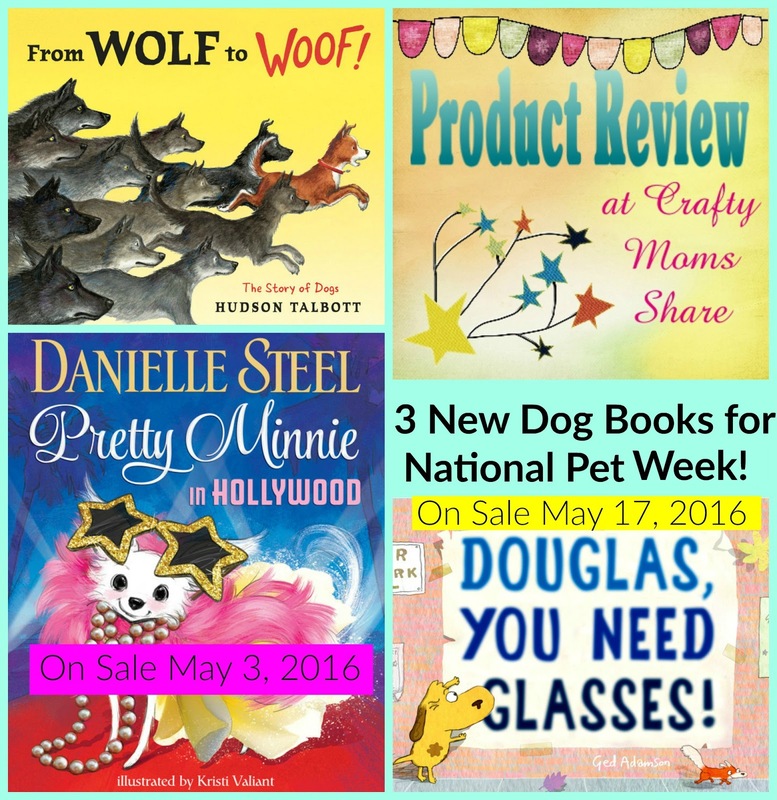 In the UK it is April in and in the US it is May.The first week in May is the AVMA National Pet Week as well. On April 11th you may have had many pet pictures in your Facebook feed since it was National Pet Day. I remember seeing many of them in mine. These are to honor the pets and the love they bring to our lives. In honor of National Pet Month/National Pet Week I thought I would share three new books with dogs as the main characters/topics. Before I share the books though I thought I would share a picture of one of our two cats. This is Pumpkin. 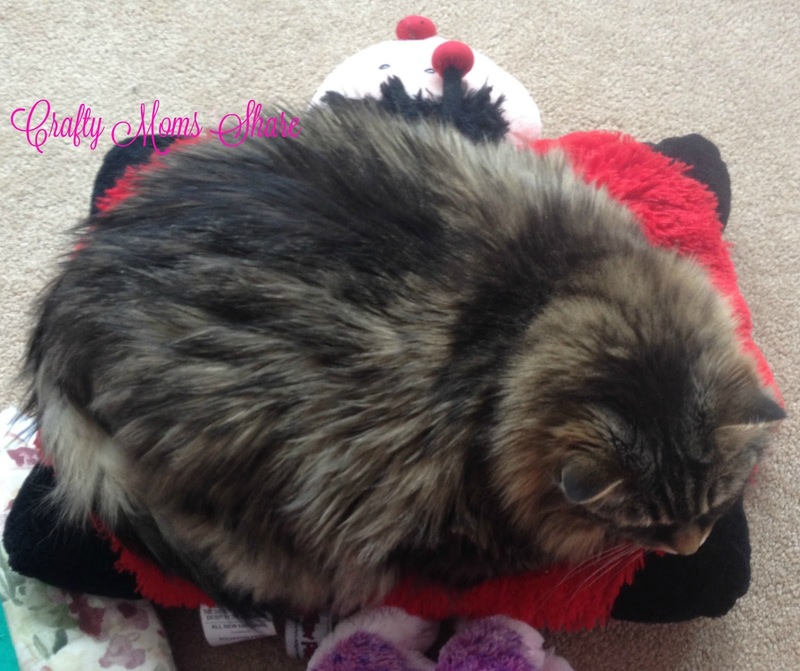 Earlier today I found her sleeping on Hazel's Pillow Pet and I thought she looked adorable!! 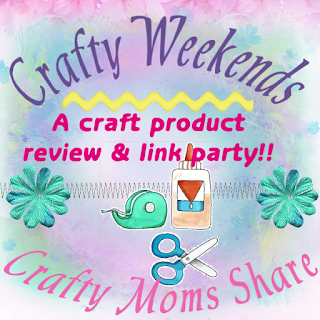 * Disclosure: The Gymboree and Little Passport links in this post are affiliate links and I may earn a small commission at no cost to you. Disclosure: I See Me! Inc. gave me a copy of this book and ornament free of charge. All opinions in my review are my own and I did not receive any other compensation. As in all my reviews I am providing links for your ease, but receive no compensation. 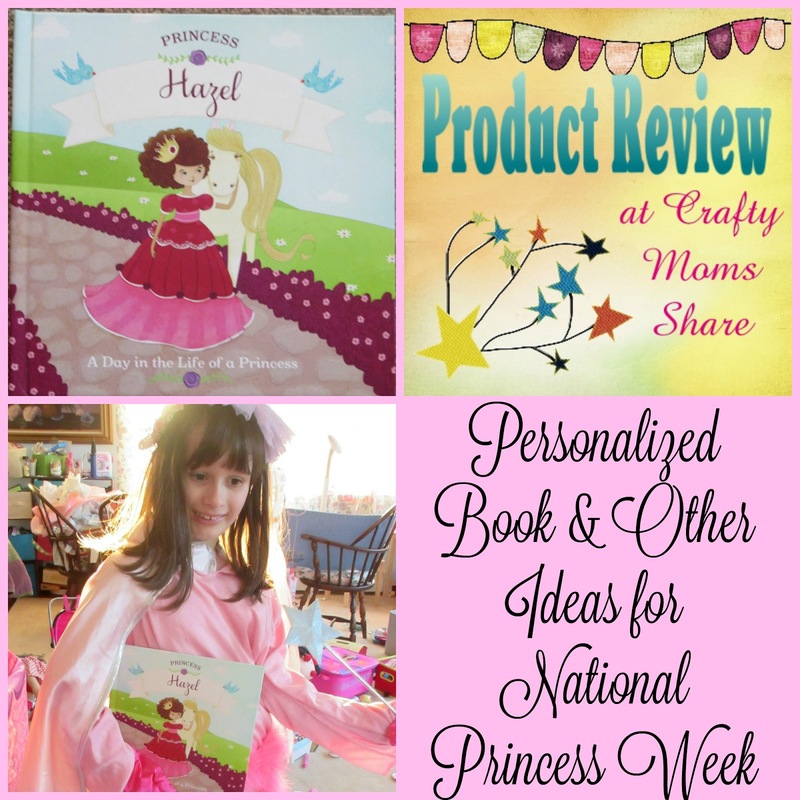 Did you know there is a National Princess Week every April? It is always the last full week in April. It started in 2012 when Julie Andrews, Target and Disney joined together to create it. Julie Andrews's website says "Believe in yourself! Only then can you truly let your sparkle out for all the world to see." (Source) The website also has a post of 30 Ways to Celebrate National Princess Week. We chose a fun way to celebrate and started a bit early. I See Me! sent us the Princess Personalized Book. All I have to say is Hazel was really excited when it came! Mother's Day in the United States is just a couple of weeks away. This year I decided to make my mother a card based on one I saw at work. To make it I used some flower punches and my bow/mustache punch. I picked papers that were in my mother's favorite colors--purples, turquoises and such. I punched out many flowers in all the colors I had gathered. Spring colors and my mother's favorites. 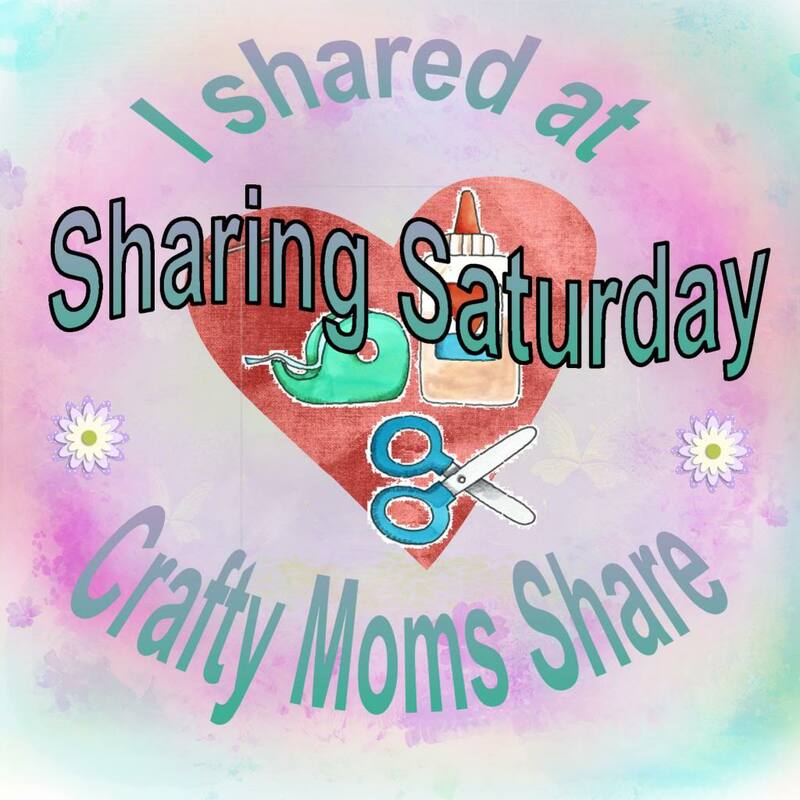 It is time for Sharing Saturday!! 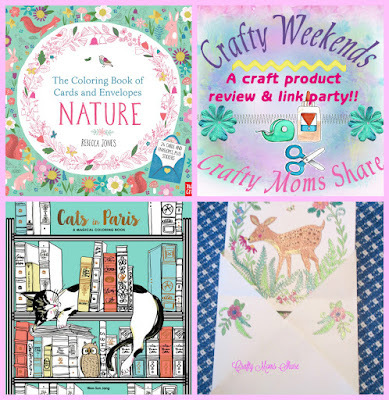 This is a link party to share all of your child-oriented crafts,crafts made for kids, activities and lessons as well as your parenting and/or teaching posts. 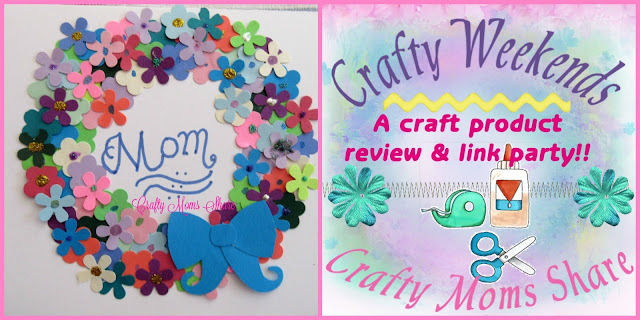 On Sunday night we also host Crafty Weekends for all your crafts (done by any age), patterns, and craft product reviews! It is the perfect place to share your creative side!! 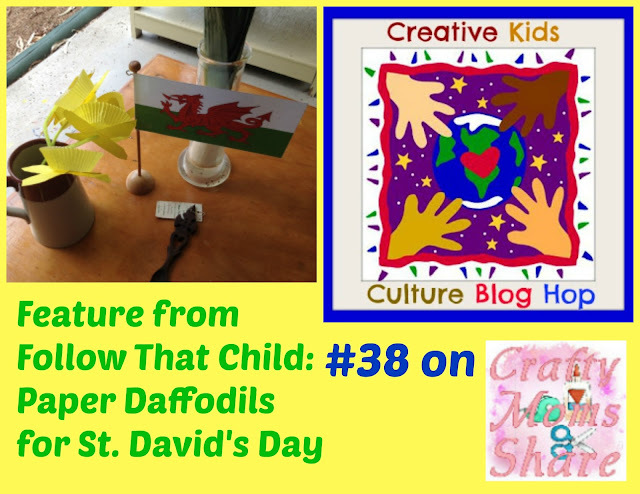 And the Creative Kids Cultural Blog Hop lasts all month for anything cultural or diversity posts and a new one starts Sunday morning!! Be sure to join us at it!! Thank you to everyone who shared with us last week! I always love seeing what everyone has been up to and your creative ideas!! Our features are just a sampling of them so if you haven't checked them all out, you should! 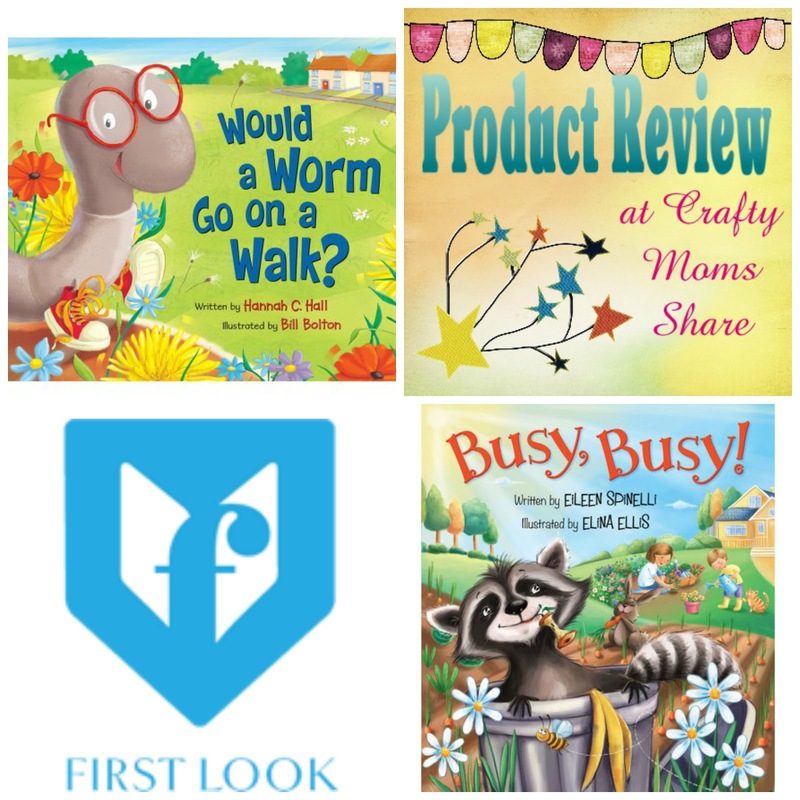 This week our features are Earth Day Features, Mother's Day Features and Educational Features. * Disclosure: The Gymboree links in this post are affiliate links and I may earn a small commission at no cost to you. Can you believe Friday is Earth Day? I feel like spring is just beginning and it is already the end of April. How do you get your children to focus on taking care of the Earth for Earth Day? 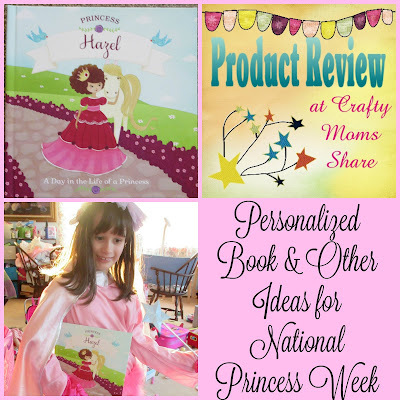 We have the perfect chapter book for the day and it is also perfect for next week which is National Princess Week. 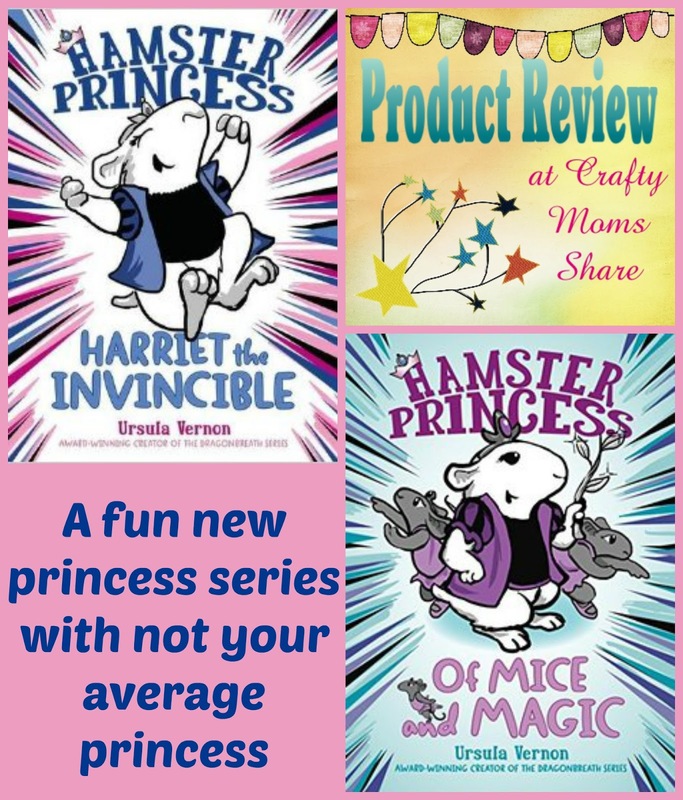 Anyone who has been following Crafty Moms Share knows I tend to look for books about princesses who are less frilly and typical fairy tale princesses but ones that show courage, strength and independence. Well the Mystic Princesses are just that type of princess. Of course what makes them the Mystic Princesses is that they each have a parent who is a god or goddess or Mother Nature. Each princess also has a special magical talent as well. These princesses however have joined together to protect Harmonie. She is the daughter of Aphrodite and Ares. Aphrodite sent Harmonie away with her brother Eros when she was a baby for protection from Ares. Harmonie brings peace and calm to everyone around her which goes against Ares desire for war. Now his other children are after her and Eros so they separated and the Mystic Princesses have sworn to protect Harmonie. 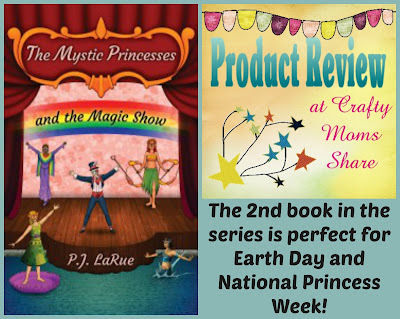 In the first book, The Mystic Princesses and the Whirlpool, PJ LaRue introduces the princesses and the story. We had the pleasure of reviewing the first book in the series for Multicultural Children's Book Day. 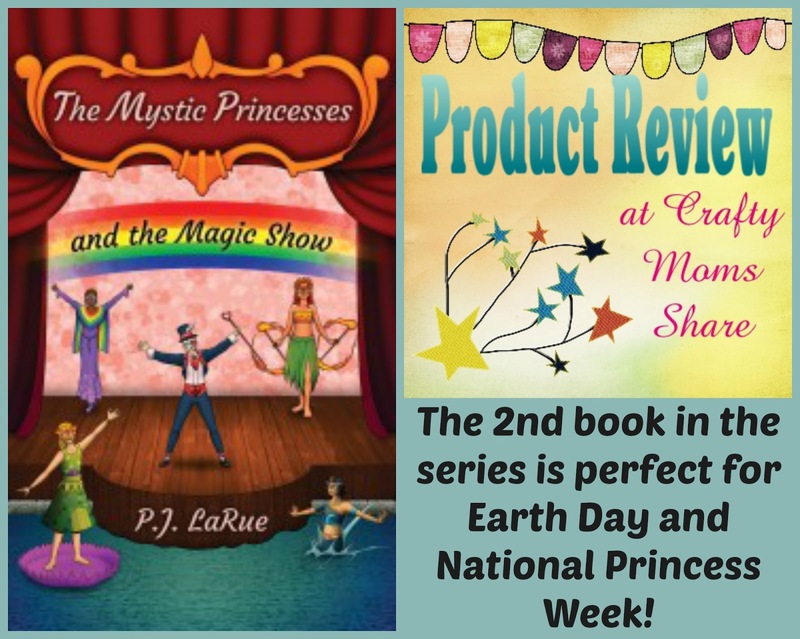 Now we are bringing you the second book in the series, The Mystic Princesses and the Magic Show by PJ LaRue. Disclosure: I was sent this product free of charge to review. All opinions in my review are my own and I did not receive any other compensation. As in all my reviews I am providing links for your ease, but receive no compensation. In New England this has been a bit of a nasty spring. We have had a couple of snowfalls in April and lots of cloudy and cold days. I keep waiting for spring to really be here and crave some sunshine. Luckily BloomsyBox entered my life. 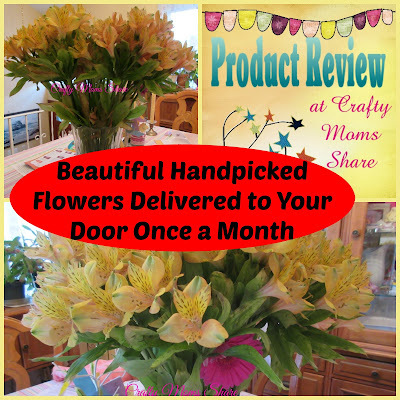 BloomsyBox offers three choices of monthly subscriptions to have beautiful handpicked flowers delivered to your door. They even have weekly and bi-weekly subscriptions. Perfect for businesses or families who always need/want beautiful flowers displayed. Disclosure: I was sent copies of these books free of charge to review. All opinions in my review are my own and I did not receive any other compensation. As in all my reviews I am providing links for your ease, but receive no compensation. Today I get to share two fun takes on classic fairy tales that share some African cultures in the stories! These wonderful tales are from Nubi Tales. I have to say now that Hazel can read these book reviews are even more fun. She has read these two books several times on her own as well as having me read them to her. She really loves them. 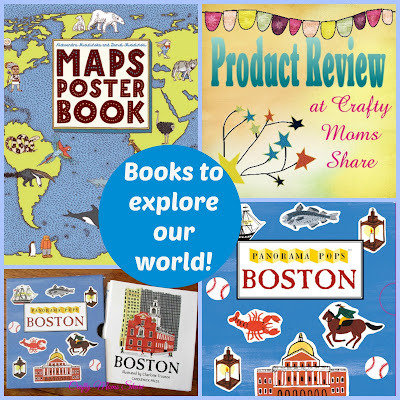 These books are a fun way to introduce various cultures to children. 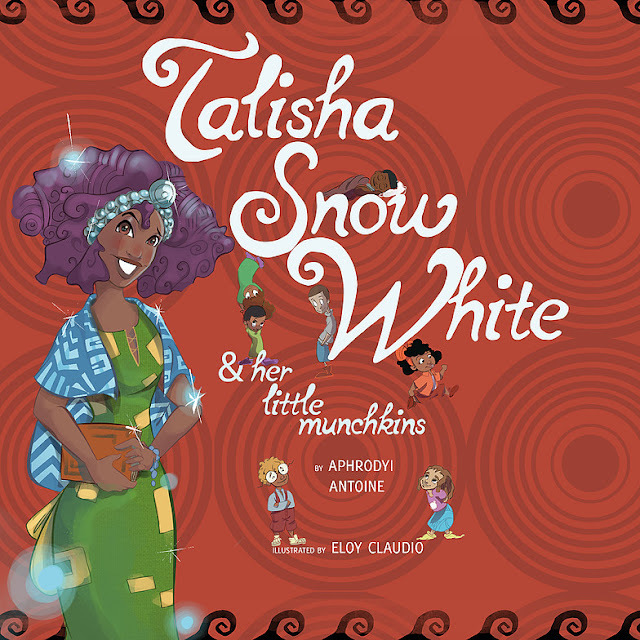 The first is Talisha Snow White and Her Little Munchkins by Aphrodyi Antoine and illustrated by Eloy Claudio. In this take off of Snow White a young baby is left on a doorstep wrapped in a ukara cloth. Mr. and Mrs. White adopted the child and named her Talisha, which was stitched on the ukara cloth. The Whites also adopted seven other children over the years. Talisha was given the nickname of Snow and the other seven children were called the Munchkins. The Whites operated a bakery and the whole family helped. One day a woman came up to Snow and told her she was answering the ad that was placed for help. Snow did not place an ad, but there was a huge line of people waiting to get into the bakery so the woman began to help. Then the woman left her purse and when Snow picked it up to bring it to her everything fell out including a magic mirror. The mirror told Snow the story about her birth. The woman however poisons Snow and a struggle is had by the White family and this woman. Throughout this story there are cultural references and words. Many of the names in this book are words various African languages like Yoruba, Igbo, Zulu, Efik, Swahili and Akan. It also includes a cake that is popular in South Africa and terms from Nigeria. At the end there is also a page for the reader to think about his or her own name and its meaning or story as well as a word find. I have to also share that we were reading Tasha the Tap Dance Fairy by Daisy Meadows and Hazel thought the name should be Talisha. 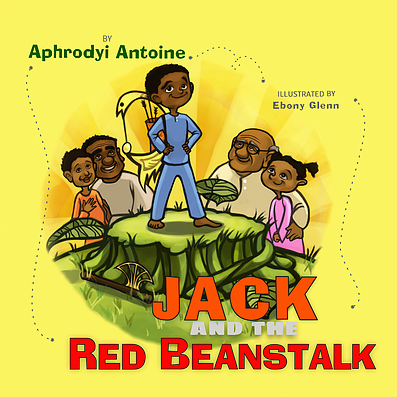 The second book is Jack and the Red Beanstalk by Aphrodyi Antoine and illustrated by Ebony Glenn. This tale tells of a grandfather sharing the story of their ancestor Prince Zuberi who defeated the giants and managed to keep them in their land, Hewa. The giants came to the land by climbing down beanstalks. When the last red bean was dropped by the leader of the giants Prince Zuberi caught it and passed it down for safe keeping through generations. The grandson, Jack, wanted to see the red bean one more time and took it from his grandfather's pocket. He brought it to the dinner table where it got mixed up in a bowl of red beans which he eventually dropped out the window. The grandfather and kids went to sleep. Jack wakes to find a giant beanstalk which he climbs and encounters his first giant. He climbs down to tell his grandfather. His grandfather tells about all that happens. His grandfather tells Jack he has to go and destroy the beanstalk so the giants do not come back. At the end of the book there are pages that start a discussion on heroes and explain the Swahili vocabulary and about a kalimba (also known as a thumb piano). Then there is a connect the dots as well. We love how these books bring a bit of African cultures into the stories and give the classic stories new twists and turns. They are stories you should check out. We love them!! THIS Link Party is for all craft posts and craft product review posts!! Sharing Saturday (for kid related posts) is here. 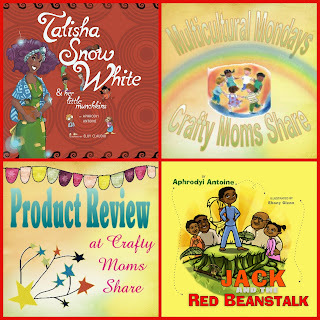 Creative Kid Culture Blog Hop (for multicultural posts) is here. Has the adult coloring book craze hit you yet? I love it and so does Hazel. However with so many options out there it is hard to know which book to chose. 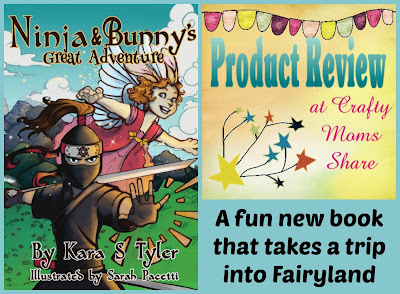 We have had the pleasure of reviewing several different ones (The Time Garden, The Time Chamber, some of the Magic Series, and Colour Your Day) and today we are reviewing two new ones!! The first is from Candlewick Press and is The Coloring Book of Cards and Envelopes: Nature by Rebecca Jones. I have to admit we LOVE this one. Instead of just coloring pages to color and relax you are coloring cards and envelopes that you can use to send a note or for a holiday. Hazel has mostly taken over this book on me. THIS Link Party is for Cultural Posts for kids!! Sharing Saturday (for kid related posts) is here. 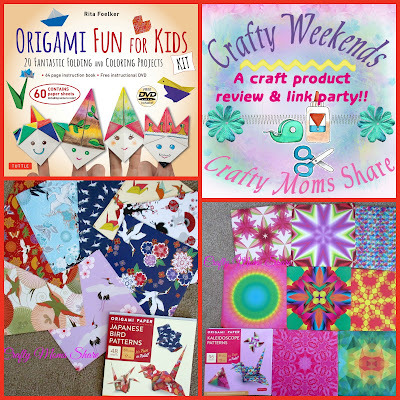 Crafty Weekends (for all crafts) is here. Thank you to everyone who shared with us last week! I always love seeing what everyone has been up to and your creative ideas!! Our features are just a sampling of them so if you haven't checked them all out, you should! This week our features are Parenting & Books Features, Crafty Lesson Features and My Other Features. This week I have been on a fairy and fairy tale train. So I figured I would continue it with one of the sweetest fairy books around or almost around (it is being released on April 26th). We love this one!! 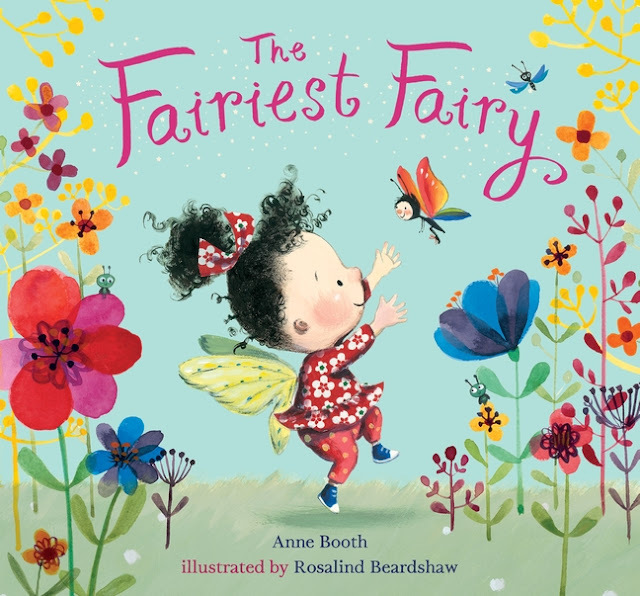 It is The Fairiest Fairy by Anne Booth and illustrated by Rosalind Beardshaw. Betty is a fairy that just never gets things quite right. She was always messing up all of her fairy spells and behaviors, however she would always stop what she was suppose to do for fairy school and help an animal in need. Every year the fairy king and queen had a fairy ball and selected the fairiest fairy of all. Of course to be picked the fairy had to perform all the fairy tricks that Betty could not do quite right. However all the animals she stopped to help come to help her and she is chosen because Betty demonstrates how to be a friend and that helping others is what matters. This adorable book is written in rhyme. The story is quite lovely and fun and the pictures are just adorable. They are colorful and yet simple. The book is a feel good book and really demonstrates the importance of helping others and being a good friend which is always a lesson a young child needs to be reminded of a few times. Hazel of course loves it. First it is about fairies and second it has a message that is very true to her. She is in many ways like Betty and for that I am proud. 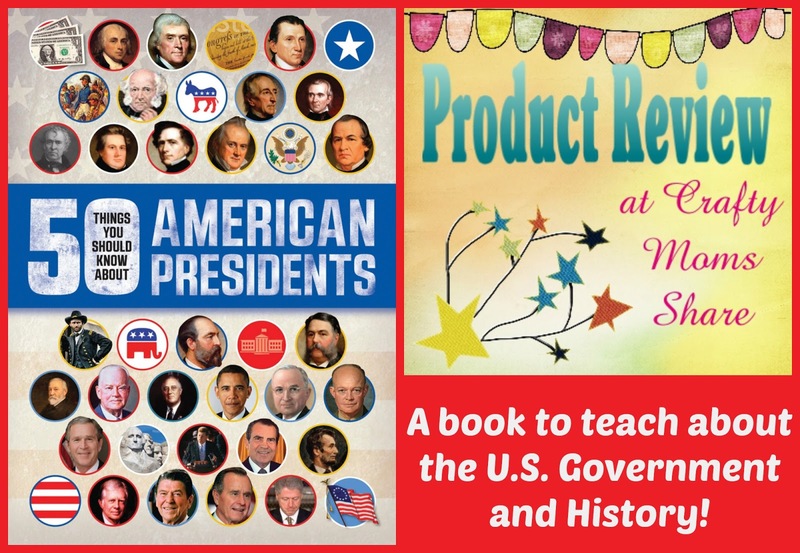 I hope you will check out this wonderful book!! I am always looking for princess books with not your pink frilly princesses. I want Hazel to have strong role models and see that girls do not have wait around for a man to save them. Well the Hamster Princess is one of those princesses. I will admit that I was not sure I would like them and for that matter that Hazel would (and she was worried she wouldn't). However we loved them. She begged me to read more than one chapter each night and often chose to just read these books and not the usual various picture books with a chapter or two of the chapter book. The first book Harriet the Invincible by Ursula Vernon is based on the story of Sleeping Beauty. 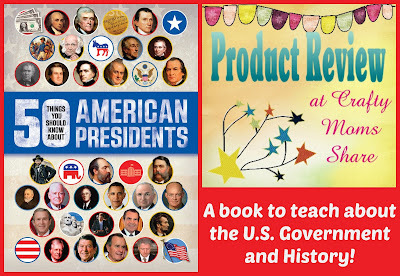 Disclosure: Tuttle Publishing gave me a copy of this kit and packages of origami paper free of charge for this review. All opinions in my review are my own and I did not receive any other compensation. As in all my reviews I am providing links for your ease, but receive no compensation. One of our favorite crafts is origami. Now I love origami for many different reasons including teaching math. Hazel loves creating the various things. 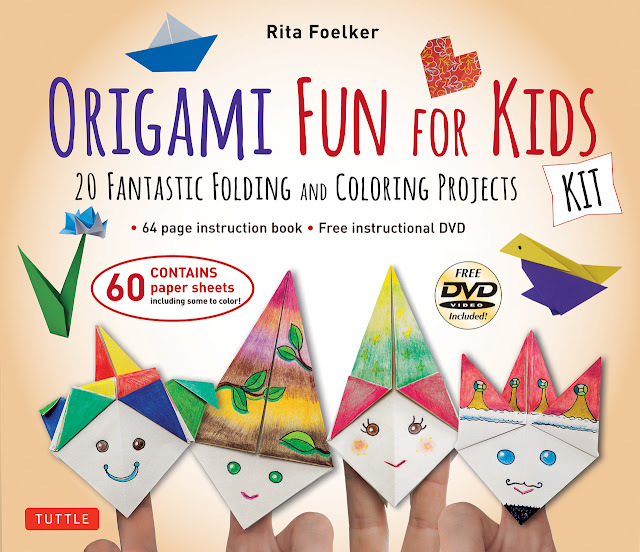 Today we are sharing Origami Fun for Kids by Rita Foelker as well as two packs of origami paper: Japanese Bird Patterns and Kaleidoscope Patterns. Thank you to everyone who shared with us last week! I always love seeing what everyone has been up to and your creative ideas!! Our features are just a sampling of them so if you haven't checked them all out, you should! 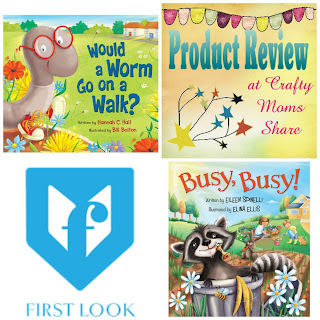 This week our features are Parenting Features, Educational Activity Features, Book Features and Arts & Crafts Features. With the United States preparing for the presidential election, Hazel has heard a bit about the campaigns. Steve and I do not usually see eye to eye when it comes to politics and he and his mother are much more interested in politics than I am. They also tend to talk about it much more than I do. As result Hazel has had many questions about it all. She also heard a bit about it at school and will be learning more. 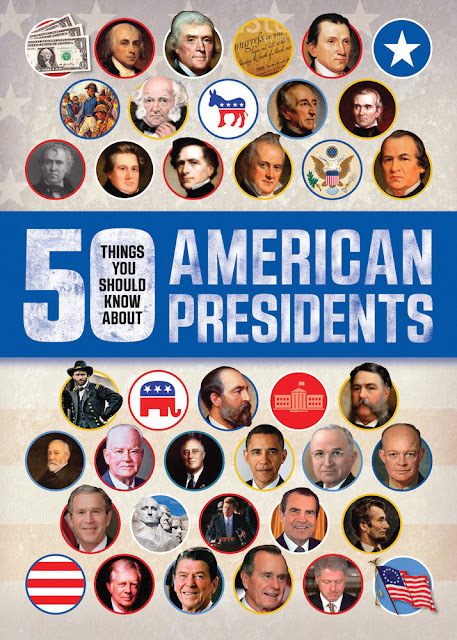 She was really excited when I showed her 50 Things You Should Know about American Presidents by Tracey Kelly. She couldn't wait to start reading it and asks me to read more each night. Disclosure: I was sent these books to review free of charge from Worthy Ideals. All opinions in this post are my own. I did not receive any other compensation for this review. I am including links to each item for your convenience but do not receive anything if you purchase them. 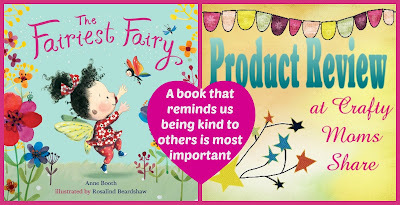 Today I get to share with you two new books that use animals to deliver important messages to children. The first book is a religious book that delivers the message that God created animals to do what they do and His masterpiece is you. The second book's message is that no matter how busy a mother is she always has time for a snuggle with her child. Would a Worm Go on a Walk? 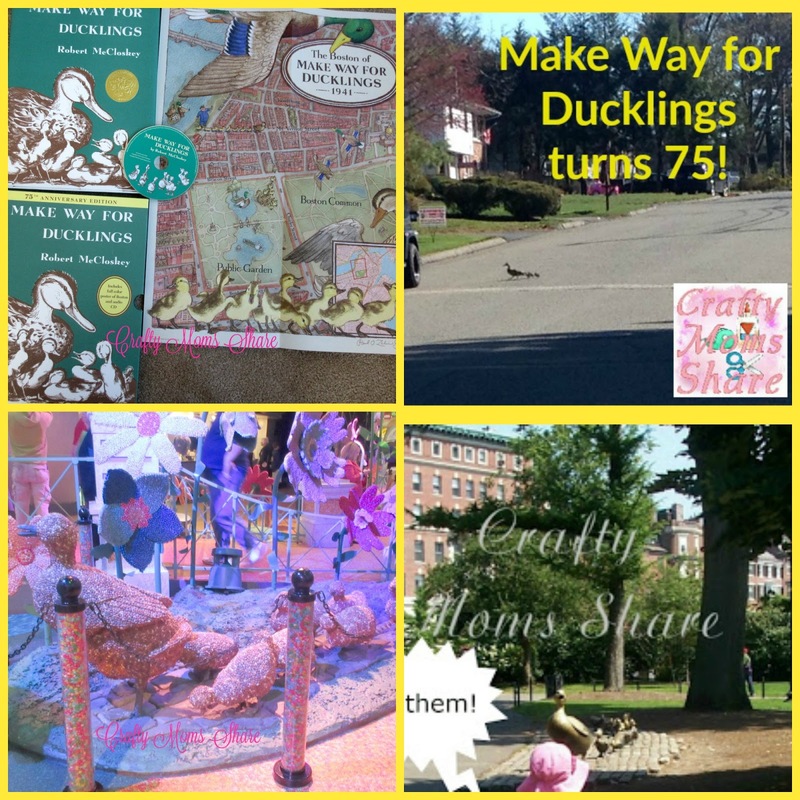 by Hannah C. Hall and illustrated by Bill Bolton is a picture book that has animals doing funny things like the worm on the cover walking with sneakers. 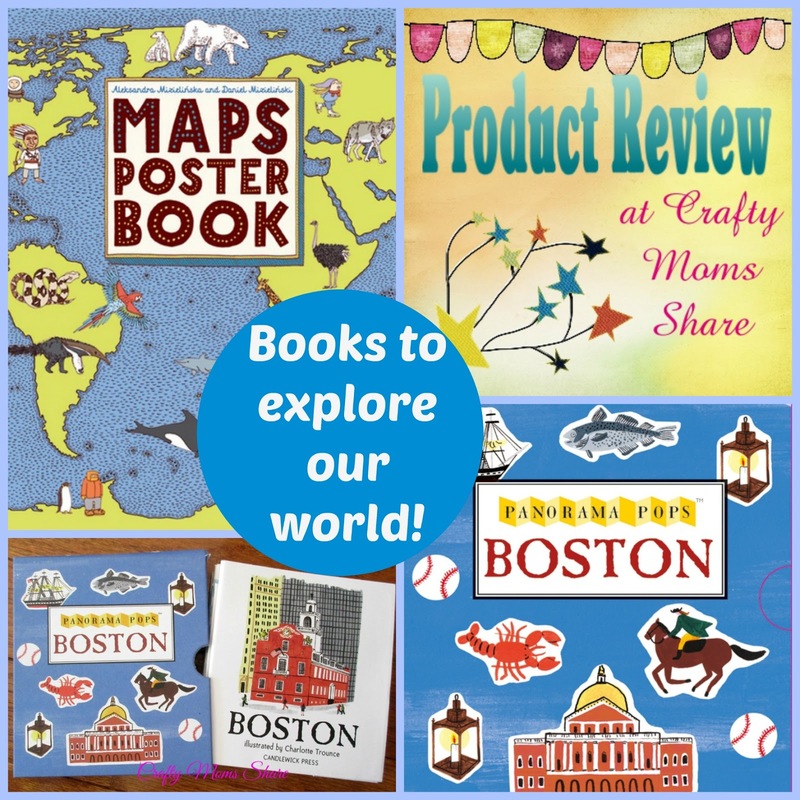 We love books that help us learn about places and cultures. In case you cannot tell I am a bit obsessed with teaching Hazel and learning myself about other cultures and places. However we are not big travelers, so books are our answer. Candlewick Press sent me two great books for our family. 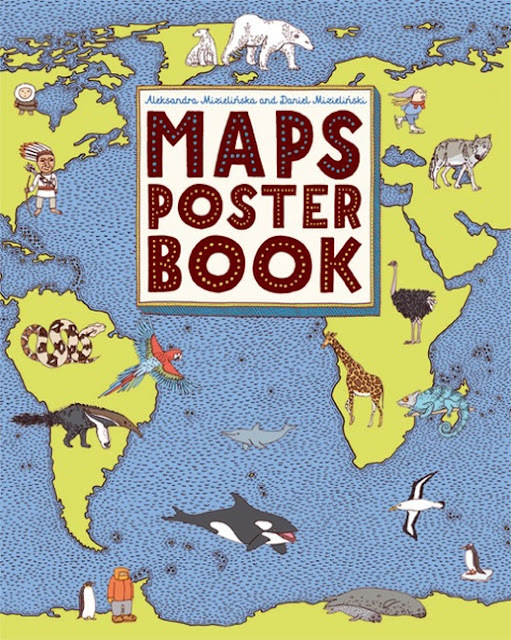 The first to share is Maps Poster Book by Aleksandra Mizielinska and Daniel Mizielinski. 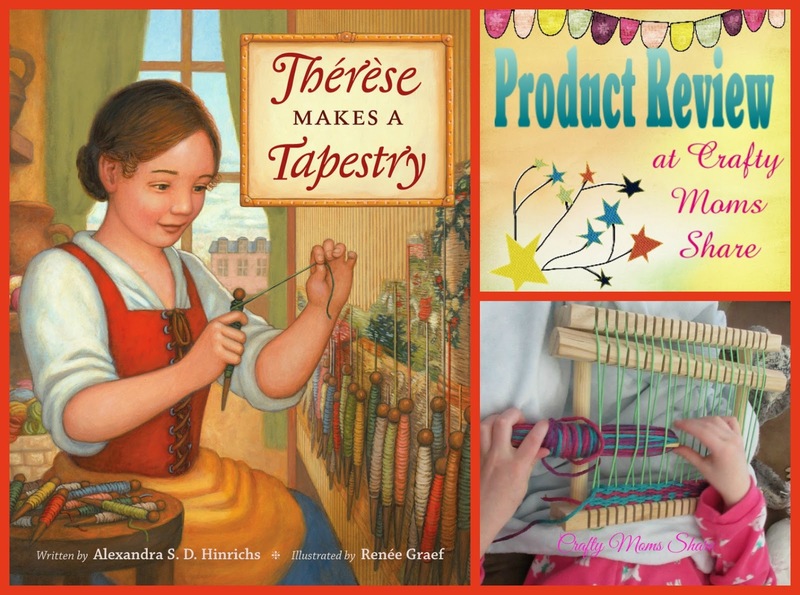 Last month (and January) I was able to share with you Goosebottom Books' The Thinking Girl's Treasury of Real Life Princesses Series (you can see them here and here). Today I am going to share the Treasury of Glorious Goddesses with you. 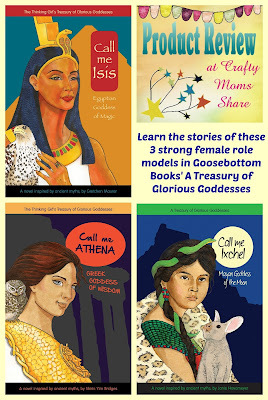 These books are chapter books and are written in the goddesses' voice (first person). What is amazing to me is how captivated Hazel was with these stories. She did not know any mythology or at least not much and she asked each night for more chapters of whichever of the three books we were reading. Personally I only knew about Athena and did not remember everything from studying Greek mythology back in school. The other great thing about these books is at the end there is information about the culture the goddess oversees and the time period when she was popular. Things like what people wore, ate and did are given there. It adds a whole other dimension to the history behind the stories. I had such big plans to write a review tonight but it has been one of those days and I know it is not going to happen. 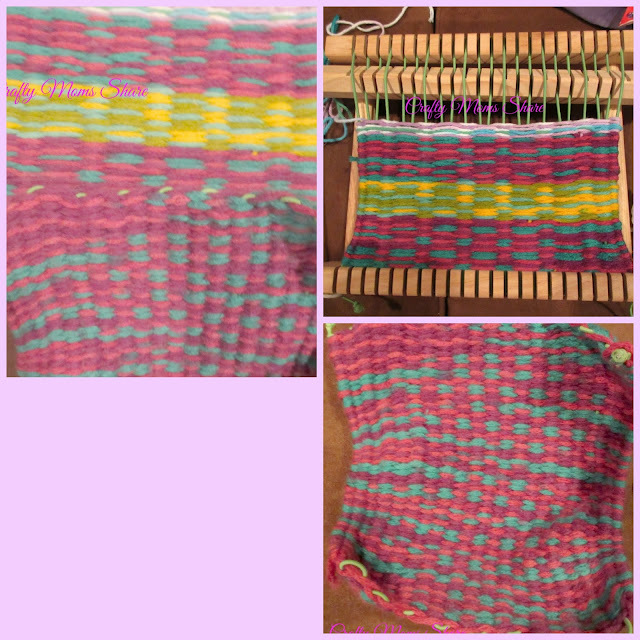 So I'm going to share one of the crafts we have been playing with this week. I shared it the other day, but we have done much more. Because of Easter weekend we had a two-week long party. I did feature some Easter ideas last week as we continued the party. I hope you will check them out if you haven't already. I always love seeing what everyone has been up to and your creative ideas!! Our features are just a sampling of them so if you haven't checked them all out, you should! This week our features are Painting & Spring Features, Educational Features and Parenting Features. Disclosure: I was sent me a copy of this product free of charge. All opinions in my review are my own and I did not receive any other compensation. As in all my reviews I am providing links for your ease, but receive no compensation. Today we get to share with you a beautiful new book that is fictional but based on some facts and real people. It is set in France during the reign of King Louis XIV in the Gobelin Manufactory. 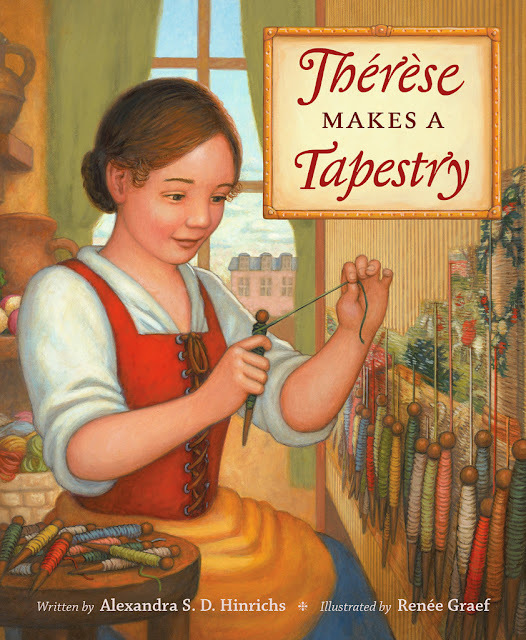 Therese Makes a Tapestry written by Alexandra S. D. Hinrichs and illustrated by Rennee Graef shares the tale of a young girl, Therese, who lives with her family in the grounds of Gobelin.